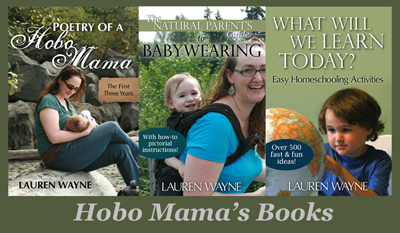 Hobo Mama: Essential breastfeeding product: Save your shirt & your dignity! You are really crafty! What a neat idea. I never leaked but I know it's a big problem for many moms. Glad to know there are some more natural and organic options in nursing pads. I know! The cloth ones are more comfortable, and at the same time more sustainable. Funny how that often works out! P.S. Amazing that you never leaked. Fun! Fantastic post! Love that you even provided directions for DIY!!! I was lucky to never have much trouble with leaking -- just for the first week or so, and just on one side -- so I never had to do much exploration of the world of nursing pads. I agree that the disposables aren't all that wonderful, though, even just for occasional use. 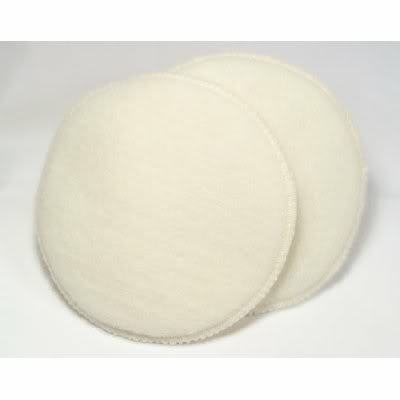 Reusable breast pads sure can save you a lot of money! and so much nicer to where something soft against your skin rather than paper - gel stuff! No kidding! It's like the difference between cloth & sposie diapers -- I'm always amazed at how stiff and scratchy the paper kind are, and they say stuff like "now more cloth-like." I'm not starting a sposie rant (yet...); I'm just saying the difference is so stark against the skin. I like your site, by the way! I see you have hemp pads as well. I haven't tried hemp yet (for diapering either) but have heard good things and would like to give it a whirl. I like that the pads coordinate with your bra colors -- that makes so much sense, for discretion purposes!